Saturday July 21, 10:00am. I should be doing a dayhike today. But due to severe moonsoon rains here in Manila, (raining for 3 days now) we had to cancel our plans. But as they say, a person always find something to do, so here I am writing a long overdue blog on my hike to Mt. Irid. I am not really fan of 'birthday climbs', I believe that celebrations should be left in the city were the hust and bust of our daily lives resides. Mountains are for places were you want to relax, be with nature. Where we can forget our day to day grinds for a while..... But when a friend invited me, its an invitation I can't refuse. Another plus was friend (whos is climbing hiatus) was also going. Mt. Irid is located in the boundaries of Rizal province. We traveled going to Sta. Inez,Rizal on a rented jeep very early morning, this includes passing by several rivers and bumpy roads. I think the travel time up to the jump-off takes around 2 hours (from Cubao). From the jump-off its a flat trek up to the base of the mountain. If I counted correctly, we passed by seven rivers. The rivers was not that high though that I managed not to get my feet wet. I recall we made a turn on the 6th river crossing to get to a waterfall. To my surprise the water fall was very pristine. We took a dip before continuing our hike. We reach the mountain basecamp almost mid afternoon. The celebrant cooked the planned birthday feast. We had our sumptous dinner a few drinks then went to bed. The next day was the summit assault. We just brought our assault bag and some rations. As expected the trail and the mountain itself is very pristine. Proof was the trail, can be hardly seen and if your not that experienced, a hiker can easily get lost. There are lots of rocks that look like walls where trees had grown. There were also part that trails ends, and you need to find the connecting part. A hiker sometimes needs to enter cracks on the walls/rocks. The summit was sort of diffrent. It has large clearing with large chunks of stones. Other mountains can be seen in the area, since I think Mt. Irid is already located on the boundary of the Sierra Madre Mountain range. I really enjoyed this climb, met some long lost (into hiking) friends. Though it rained when we went down, and had a bit of flash flooding (considering there were seven river crossings). My first birthday climb turned out okay. looking forward to reading about Ugu. I'm already planning my hiking and climbing schedule for Guatemala and then again for Oregon when (I hope) I'll be there next summer for a bit. Good luck and enjoy your stay in Guatemala. Dont forget to take pictures! This is the most I can remember. Transpo - we hire a jeep from Cogeo Gate 2 near Petron Gas station. You can reach this place from Cubao. I think the jeep cost around 1200 - 1way. Note that this are not ordinary jeeps since you need to pass several rivers. Registration fee - around 20 pesos. We did not hire guides since my friend had been here and he knows the trail. Ten/10 members of the U.P. 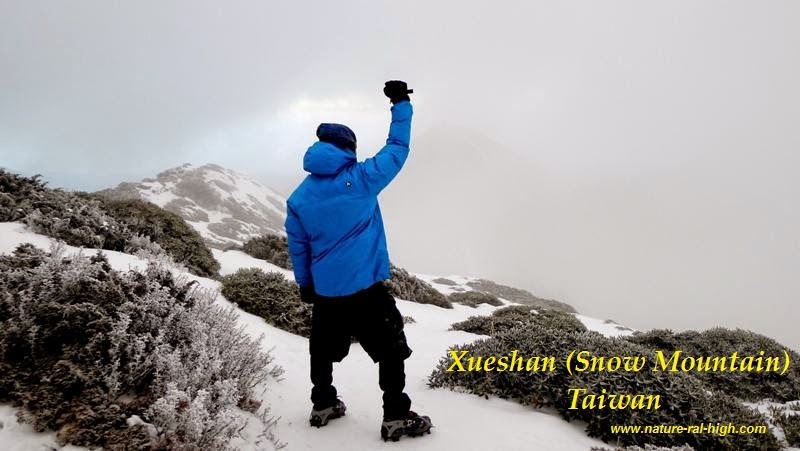 Mountaineers Exploration Team reached the summit of Mt. IRID on March 11, 1979 at exactly 1711 Hours (5:11 PM). Climb duration: 09-12 March 1979 in clear weather. Senior citizen na ako ngayon at malamang ay kapareho ko na rin sa idad ang siyam/9 na iba pa na nakasama ko sa climb na ito. 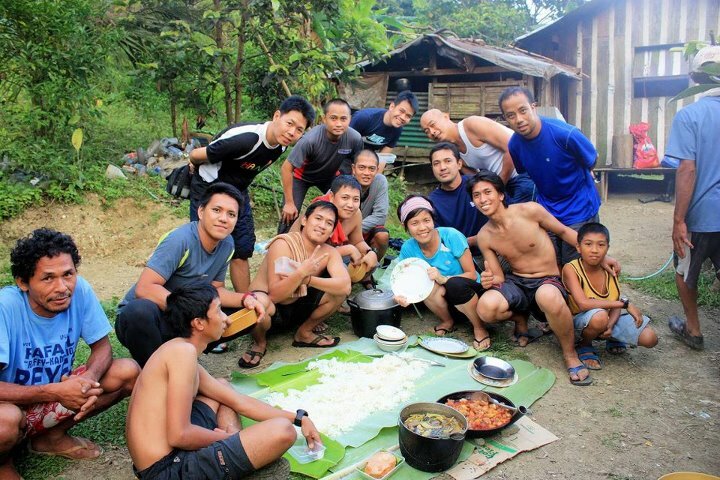 Congratulatons sa iyong pag-climb sa Bundok IRID. Sir, I am honored to know that one of the first person to summit Mt. Irid visited my blog and even leave a comment. I always give high respect for mountaineers who do exploration on mountains. They do not just give a new destination to the mountaineering community but also give additional income to the people in the locality. Kudos sir, I know that way back its is much more difficult to explore mountains. Logistics and equipment wise, most especially on communications. Thank you for that. I too appreciate person like you with passion to the sport and love of our mountains. Go well and spread the heart ! FYI, the U.P. Mountaineers was formally established on April 17, 1977 and currently with more than one thousand regular members, convening monthly general meetings, do the intensive four months basic training course every year for applicants and honing curriculum for the regulars on the second half of each year. Though i came from the classic school compared to our youngsters of today, those are old years of discoveries and inventions - - the advent of the B.M.C. (Basic Mountaineering Course) and afterward shared it to the Filipino mountaineering community. Save our Mountains and its Inhabitants ! Hi sir. Yes I am familiar with UPM. From what I know Romi Garduce is a member your club. I too have a club which is PALMC. Though my club is not as active as it once was. I so love old school! Yes, Romeo "Romi" Garduce belongs to 'Batch 1991' of the U.P. Mountaineers. We first met the PAL group (later named as PALMC) on February 25-March 01, 1979 "Mt. Apo Summit Conference" to formally establish the NMFP/MFPI. John Fortes represented the Haribon Society and PAL and he was elected as the first President of the NMFP/MFPI. Hoping to meet you someday my fellow Mountaineer. I know John Fortes. He was semi-retired when I joined PALMC. Hope to meet you soon sir. Cheers and see you in the mountains!